This newly completed fully renovated bach is a perfect choice for a relaxing Waiheke island holiday. 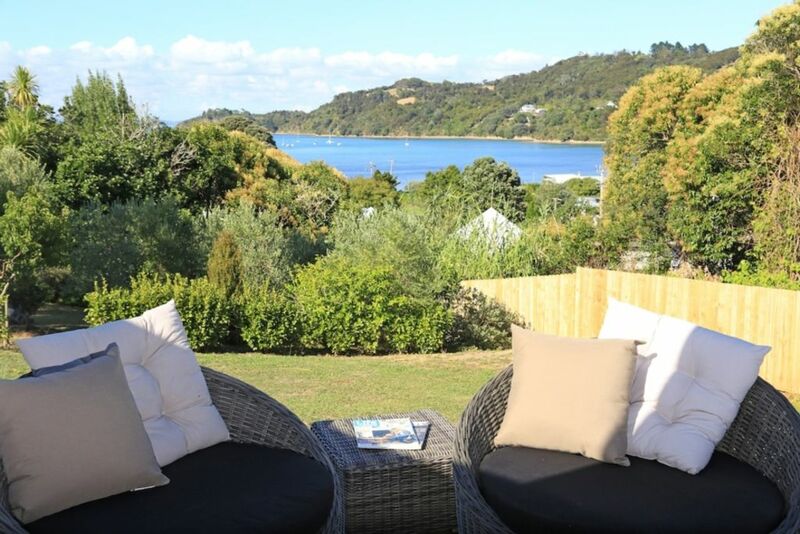 The Black Beauty is conveniently located on the fringe of Oneroa village and within walking distance to beaches, shops, cafes and in close proximity to Mudbrick and Cable Bay vineyards and event venues. The open plan kitchen and living area as well as the master bedroom look out to sea and open up on to the large deck with comfortable outdoor seating. The master bedroom has an ensuite bathroom and there is a second full bathroom across the hall from the second double bedroom. Black Beauty will comfortably sleep two couples or a small family. The house was very well equipped and on a nice quiet street. Also very baby-friendly which was great. The property is well located in easy walking distance of Oneroa. The negatives are that the property is very expensive relative to the amenities provided. The main bedroom faces directly west and cops full sun so it gets very hot. There is no air conditioning in the property at all so I can imagine that it would be unbearable in summer. The owner has provided 2 x standing fans and advices pulling the blinds down to cool the room. This is not acceptable when you are paying such a high daily rate. Excellent location, great views ,clean and spacious, a dining table and chairs would be good or at least breakfast bar stools otherwise could not fault accommodation ?? Great location within walking distance to shops, restaurants and beach. Great location within walking distance to shops, restaurants and beach. Clean and tidy with a great garden and views to the sea. Would definitely stay here again. The property is beautiful with great views, awesome deck and lovely bedrooms.